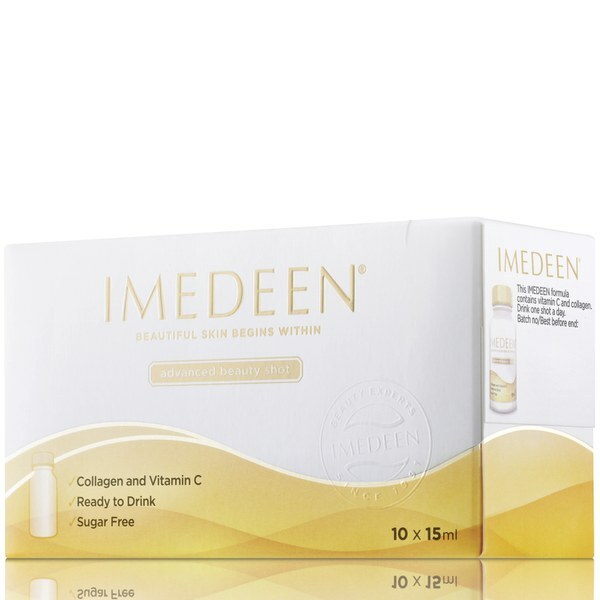 Revitalise skin from within with the Imedeen Advanced Beauty Shot; a pioneering drink supplement containing an age-defying combination of Collagen and Vitamin C.
Developed for convenience and optimum efficacy, the lightweight, anti-ageing formula is easy to consume on-the-go and can be used in conjunction with all other Imedeen skincare and beauty supplements. 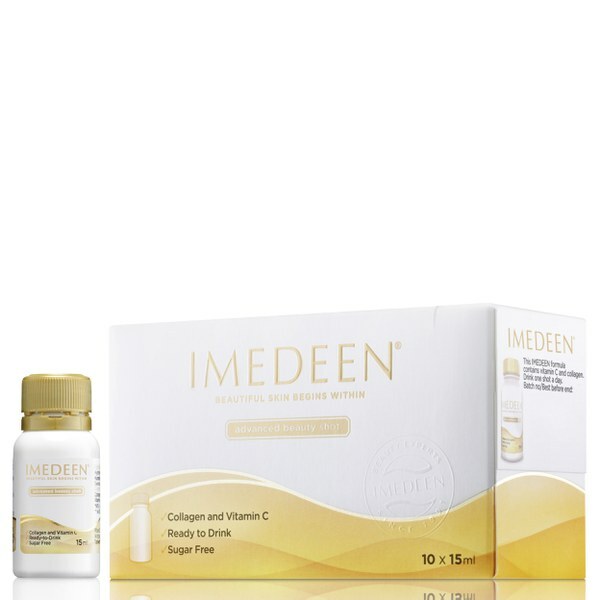 The benefits of collagen are endless; naturally part of our skin structure, additional resources are essential as we age to help repair damaged connective tissue and replenish amino acids. 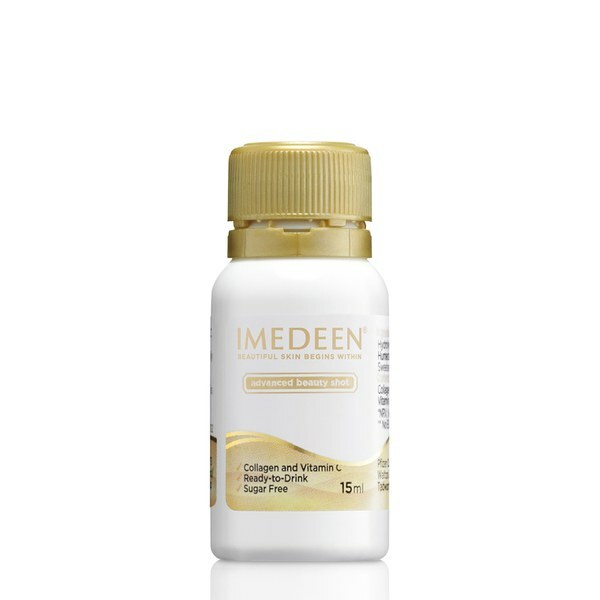 The sugar-free Beauty Shot seeks to make skin healthier from the inside, enhancing cellular vitality to boost firmness and texture, resulting in a visible reduction in the appearance of wrinkles and fine lines. An added bonus of Vitamin C also helps contribute to normal collagen formation as well as providing free radical protection. Sugar free. Contains Verisol collagen from a porcine source. Not suitable for vegetarians. Contains 10 x 15ml Shots. Water, Acidity regulator: E 330; Hydrolysed collagen; Preservative: E 202; Humectant: E 422; L-ascorbic acid; flavouring; Sweetener: E 955. Contains Verisol collagen from a porcine source. Not suitable for vegetarians.